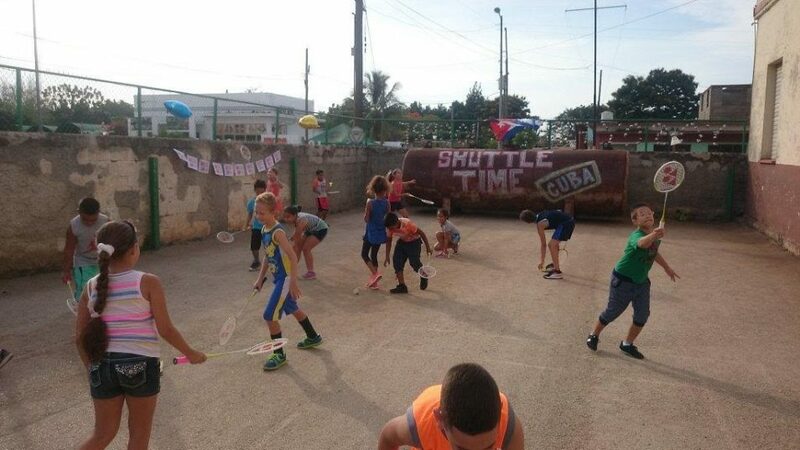 For four straight years, the ‘Mega Event Shuttle Time’ has been held in Cuba, an activity that brings together children from schools linked to the project, which serves to contrast the lessons learned in the sessions given by the Physical Education teachers. 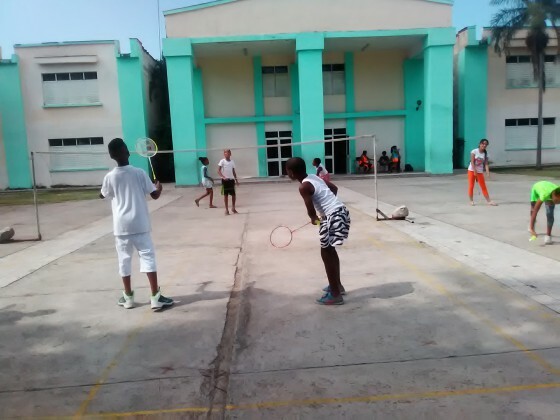 This event is contemplated as a methodological indication referred to by the National Direction of Physical Education and Health Promotion (INDER, spanish acronym) and its implementation is part of the plan of activities that a school must develop. 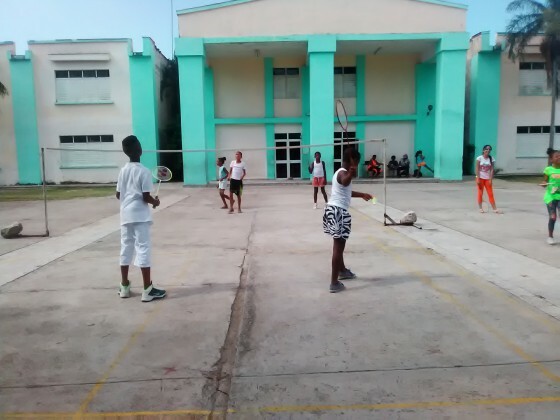 The activity takes place during the fortnight of June, in greetings to the national holidays of Cuba and its organization is taken care by the Municipality of the Locality in coordination with the Cuban Association of Badminton. 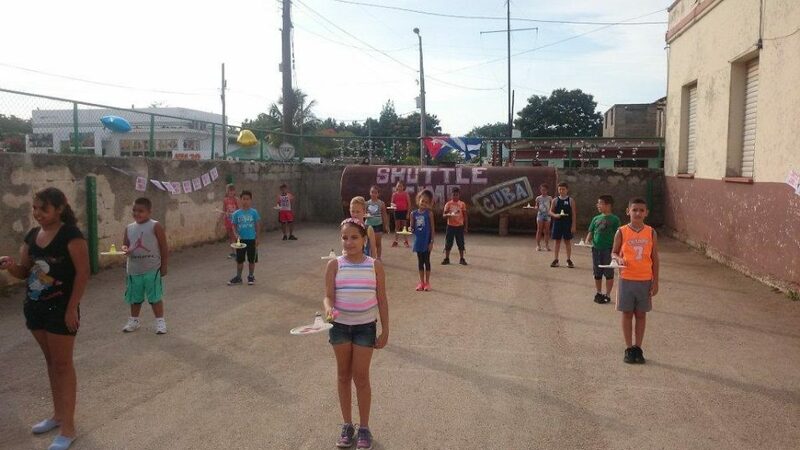 The activity is carried out in schools or in central places of the community, which become the main stages of this sporting event, which involved the neighbors of the community, constituting a form of occupation of free time, the same ones that support in various aspects, such as hygiene, decoration of the place, audio, guest attention among other material needs, snacks, stimuli, etc. This year, more than 1,740 boys and girls from elementary and special schools belonging to 42 Municipalities, where children expressed their skills with joy and enthusiasm. The results allow the authorities, both educational, sports and local, to assess the achievements and deficiencies in the mastery of pedagogical skills and to analyze how they can contribute to their solution; the evaluation is useful for the teachers , and helps them to determine in which aspects they have to work even more in the next courses, and at the same time, enables them to detect those students who may be potential talents, with a view to entering, at age 16, to the existing sports schools in the country, called sports initiation schools (EIDE, spanish acronym). This project has had a positive impact in our country, the results are positive and we are very pleased with the acceptance of our students, family, teaching staff and leading staff, committed and willing, so as to ensure with their contribution, that the results are every day higher.